Having sailed Sanderlings and Marshall cats, this looked like a real winner. 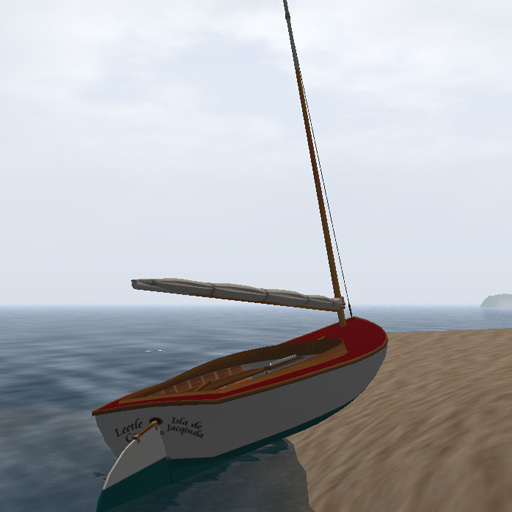 I had an expert set up the textures, [red bottom paint, white topsides, grey deck] and then had him work the sail using the Beetle Cat insignia, and Cat Boat numbering system. Now, I have just need “lots of time in the boat”. This little yacht is DELUXE ! 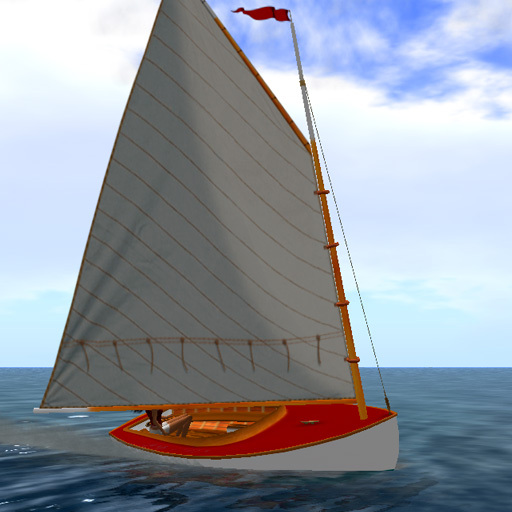 The best of Trudeau’s new yachts, this ‘dinghy’ is an exciting sail and very photogenic – mine is called Felicia. Got Rum? is now (perhaps) the newest addition to the Leetle Cat fleet. So when are the races??? I love my Leetle Cat and sail it all the time. It looks great and sails like a dream. 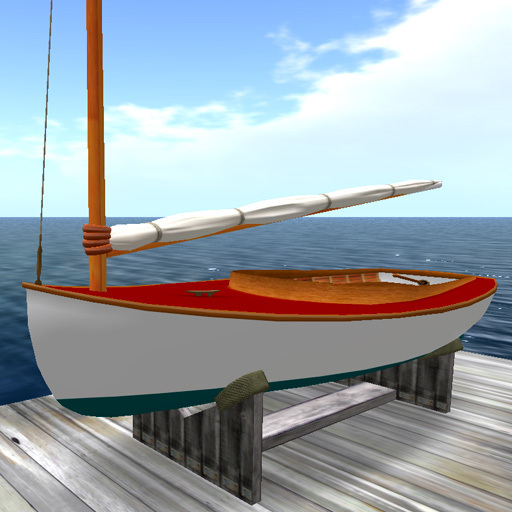 Have you discontinued making this fine little boat? 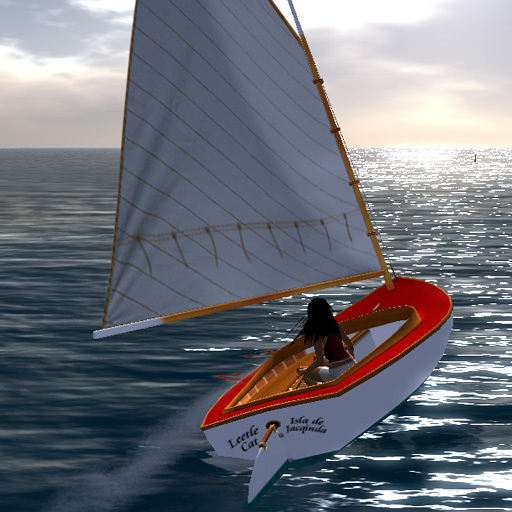 If so that is sad because it is the perfect size for sailing on single SIM layouts.